Do you like Rolling Sky Trip? Share it with your friends. Rolling Sky Trip is a very catchy 3D sensation game in which you have four different levels of difficulty. 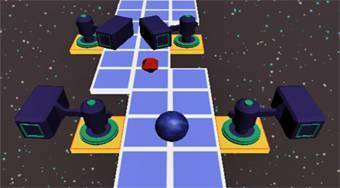 In each round, your task is to move with the blue ball on the platforms in the universe, avoiding different obstacles, collecting red diamonds and trying to get to the finish.